Who to follow on Twitter for advice about finding jobs in Israel. All the experts in this list tweet in English and in Hebrew, so know that they’re quite capable of answering your questions on Twitter. Morit Rozen, @moritrozen: CEO of HRD; Founder of the first Israeli Recruiting School and the first Recruiting Conference. 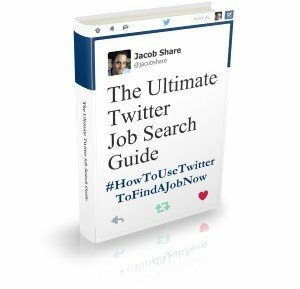 Jacob Share, @jacobshare: Job Search Expert, Professional Blogger, Creative Thinker, Community Builder with a sense of humor. I like to help people. Subscribe to JobMob via RSS or email and follow me on Twitter for more helpful resources tips for your Israeli job search. Thanks for mentioning my name! Very nice to find it here! 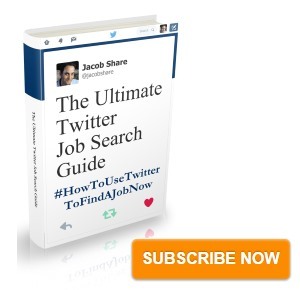 RT @jacobshare Top 10 Israeli Job Search Experts on Twitter | JobMob http://su.pr/564IQY – כבוד גדול! RT @jacobshare Top 10 Israeli Job Search Experts on Twitter | JobMob http://su.pr/564IQY Thanks a lot Jacob! from both Yakov & Myself! havnt you heard of @careerpo ??? Ron- I actually discovered @careerpo recently. For a number of reasons, like the fact that there’s no name associated with it, the account doesn’t look credible to me so I didn’t consider it for this list. what about @seeV??? – One of our most common candidate’s source is Twitter. Daniel- the @seeV account is mostly job listings, which is why it fits better in my other list. Rami- No bubble burst! In any case, this list will evolve over time. I appreciate you coming forward though I can’t corroborate your story, which if true, would be embarrassing for SkillIQ. If you can prove your claim, please contact me via my contact form or else DM me on Twitter.